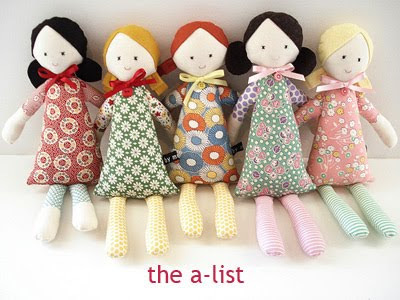 I met Catherine from Made by Maisie at the BrisStyle markets last year and immediately fell in love with her lovingly hand-crafted dolls and softies. Each piece is made from wool felt, Japanese, homespun and 1930's reproduction fabrics with hand-embroidered faces; little pieces of art! 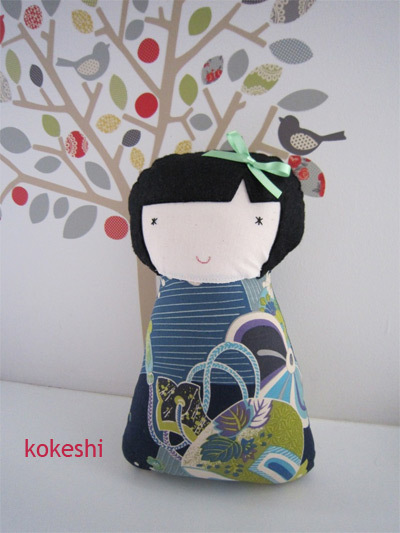 The current Made by Maisie range includes Maisie dolls, Big Sister Maisie dolls, Bears, Kokeshi dolls and custom-made dolls. 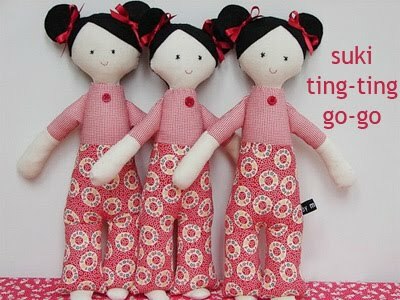 These dolls would make a stunning gift for any little girl (and the bears are super-cute for boys too). Something very special to be handed down. You can find Made By Maisie dolls and softies in the Etsy store and at markets around Brisbane. Check out the Made By Maisie blog for market information, updates and new releases. Thanks for featuring my Maisie Dolls and softies. I just love making each and every doll. It is so hard to part with them! I am currently working on 20 new dolls which should be in my Etsy store over the next week or two. 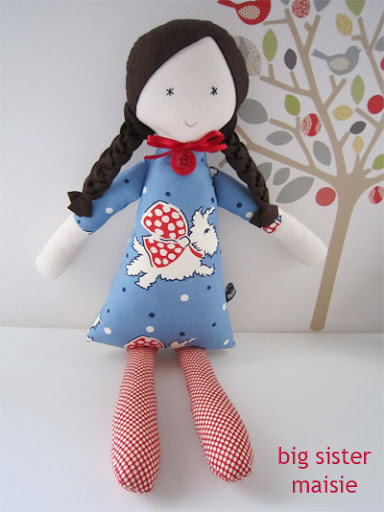 The new dolls are featuring super sweet fabric from the Minny Muu range of fabrics. Of course, I will also have some of my traditional Aunt Grace fabrics too. I sooo wish I was crafty!! Oh Amanda, thank you so much! I am honoured! Bel - you could always work on that... Cathrine - thanks for the update!